In recent decades astronomers have tried to understand the true nature of the mysterious substance that makes up most of the matter in the Universe — dark matter — and to map its distribution in the Universe . Now two astronomers from Australia and Spain have used data from the Frontier Fields programme of the NASA/ESA Hubble Space Telescope to accurately study the distribution of dark matter . Dark matter makes up about 85% of the matter in the Universe, and about a quarter of its total energy density. Dark matter does not emit any kind of electromagnetic radiation — its presence can only be determined via gravitational effects. The Hubble Frontier Fields programme was a deep imaging initiative designed to utilise the strong gravitational lensing effects in galaxy clusters to see extremely distant galaxies and thereby gain insight into the early Universe and the evolution of galaxies since that time. 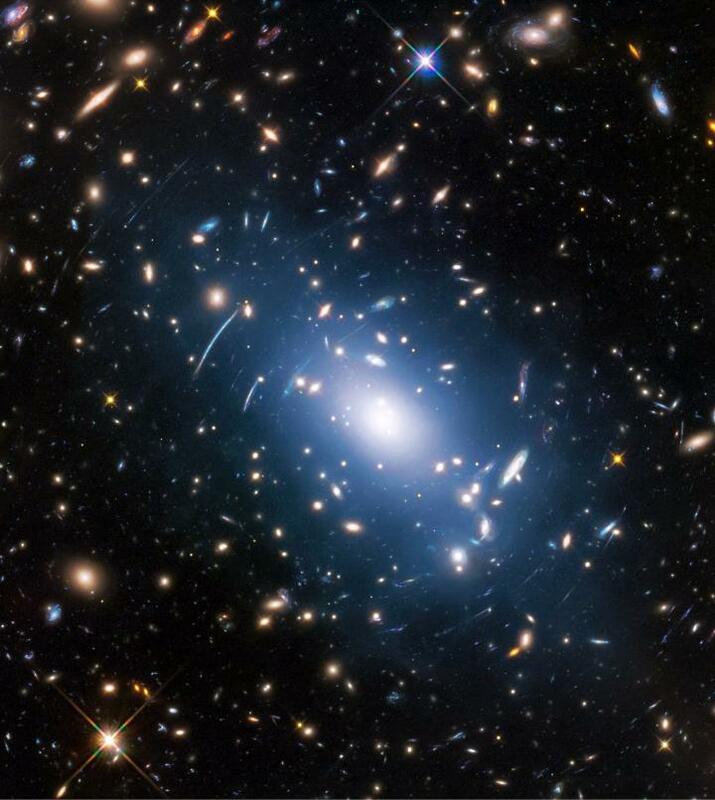 The programme observed six galaxy clusters over 630 hours of Hubble’s time. To receive the new results presented here the data was used in a different way, without using gravitational lensing.